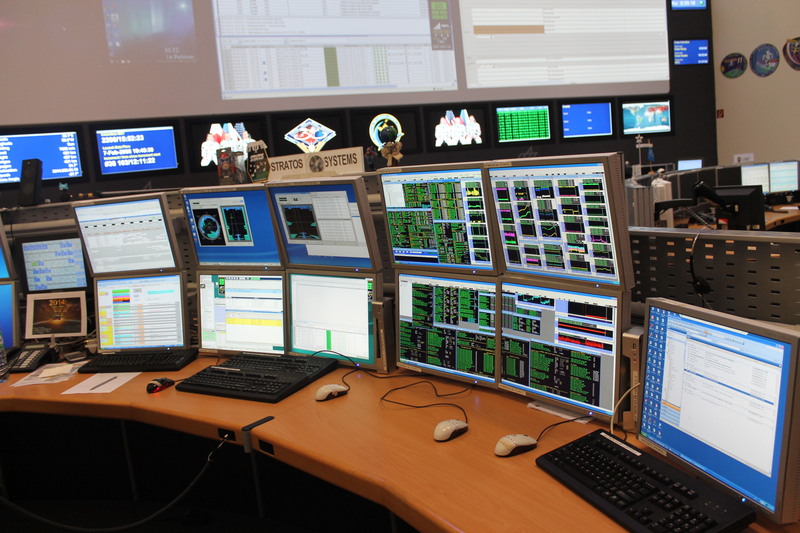 Each morning I take the U-bahn (underground) from my current home in Garching to Garching Forschungszentrum (research centre) as I head to work at the European Southern Observatory (ESO). I’ve become familiar with the sound of the U-bahn: “Bitte Zurückbleiben!” (Please stand back!) as the doors of the train close. 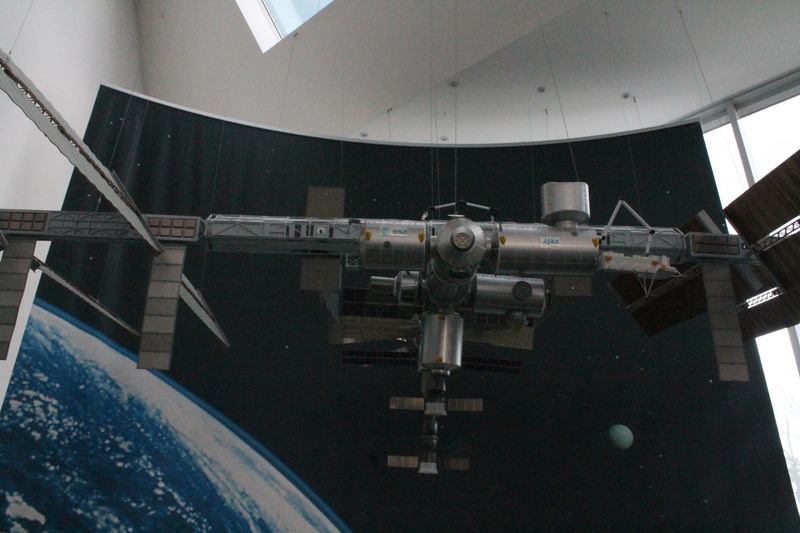 The centre is also home to many other top scientific organisations. With more than 6,000 employees and more than 13,000 students, the Garching Forschungszentrum is one of the largest centres for science, research and teaching in Germany. I feel very privileged to be here. 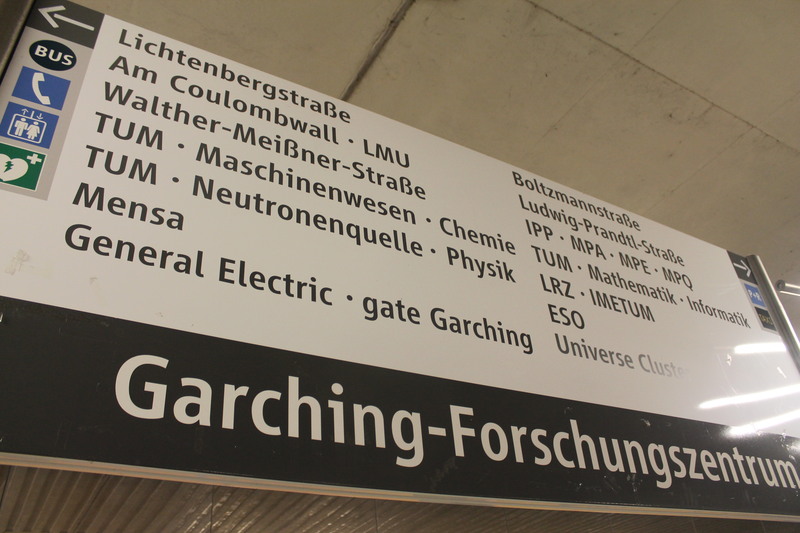 Garching Forschungszentrum U-bahn sign shows directions to some of the top scientific organisations in the world. It’s hard to believe I have been here little over three months. I’m enjoying the sites, sounds and tastes of this quiet, little suburban town just outside Munich. As I head to work each morning, it is sometimes hard to resist the temptation of the local bakery. 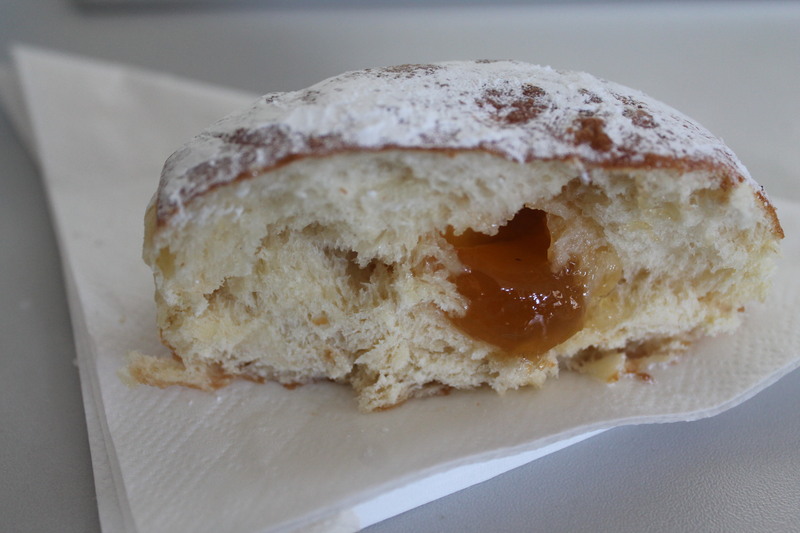 A type of doughnut common to Germany, known as a “Krapfen” in Bavaria and much of Austria. More commonly known as a “Berliner”. 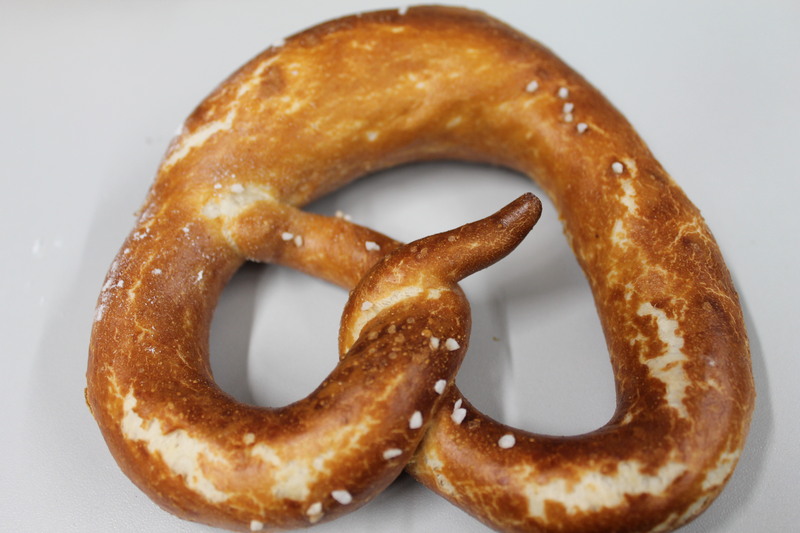 Pretzel (or “Bretzel” as they are known in Bavaria). Of course, Bavaria is also famed for its beers. I personally prefer the ‘dunkles weißbier’ (or dark wheat beer). Most recently I visited the Hofbräuhaus with the giant one-litre beer jugs with huge bretzels. Being vegetarian, sometimes choices of food can be quite difficult compared with home, but I have become accustomed to spätzle – a type of egg noodle which is best made with cheese. I first tried this in Austria and is not something you can generally find in the UK. I’m hoping to make the most of the coming few months by exploring the surrounds of Munich more. I hear there are some wonderful castles. I hope to visit Salzburg and Innsbruck, each only an hour or so away in Austria. Maybe I can also stretch a visit to Switzerland to visit a friend, only a few hours or so away from here. I’m looking forward to the coming months here in central Europe. 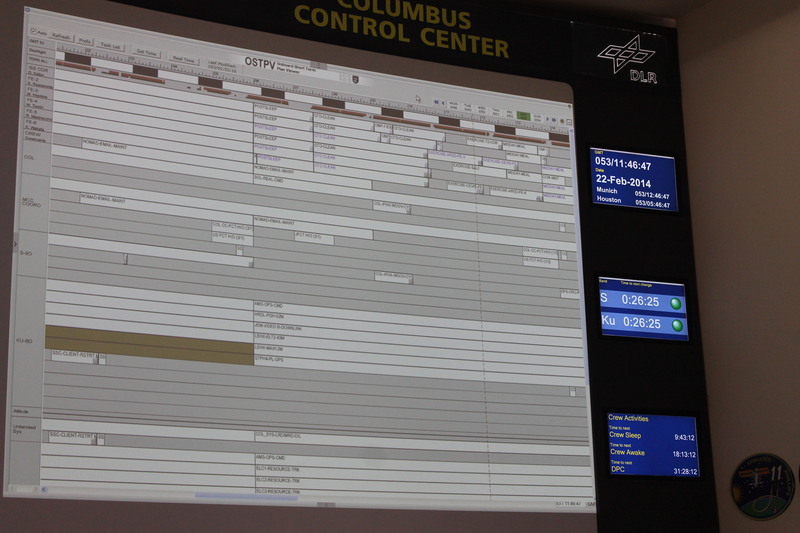 I can’t quite believe I am fast approaching my fourth month at the European Southern Observatory (ESO). It has been an incredible experience here as I have got to work hands-on within the Education and Public Outreach Department (ePOD) – responsible for the organisation’s outreach activities. ePOD is a fun and creative environment to work in and ESO Headquarters is an energetic place, rich with a number of enthusiastic staff and students from all over the world. 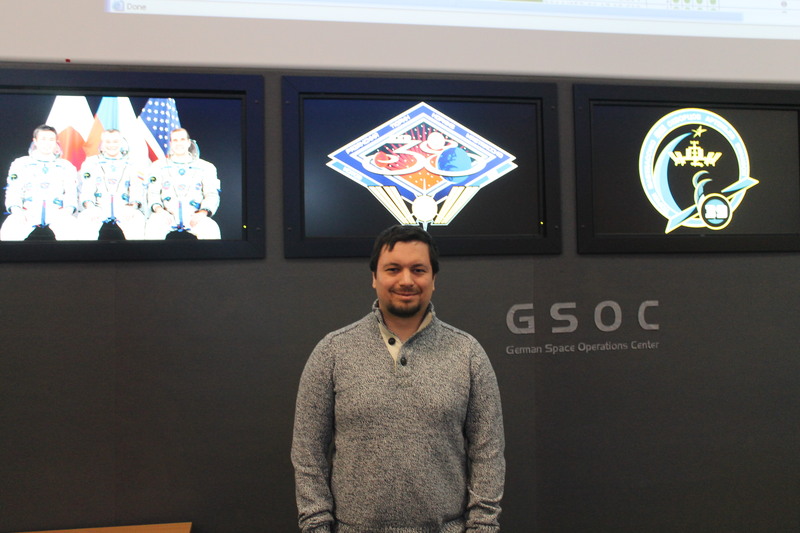 Here I am working with a team of professional science communicators for the preparation of ESO and ESA/Hubble news and photo releases, publications, web pages, video scripts, exhibition panels and other public communication products. I find it is a great atmosphere here. 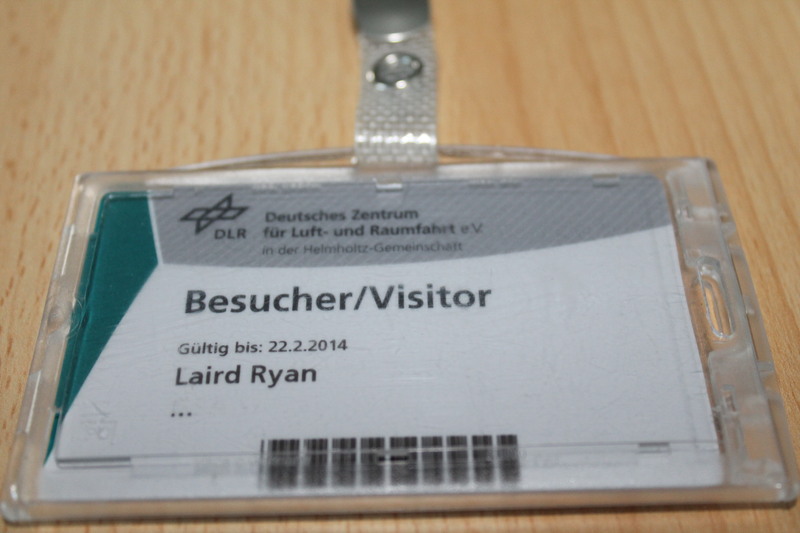 Each morning I take the U-Bahn (underground train) to Garching Forschungszentrum – the stop for the “research centre”. With unlimited free coffee in the morning, it is a great fuel for the wonderful activities and challenges that come our way. Later today I hope to show you an ESOcast I co-wrote. Stay tuned for an exciting announcement.